The two musicians from Austria will present their interpretation of “Winter Journey/Winterreise” from the well-known composer Franz Schubert. The second music piece will be “Desert Scream/Wüstenschrei”, which is Isabel Pfefferkorn’s own composition, and will highlight Austria’s new and contemporary music. – Kirill Petrenko, general music director of the Bavarian State OperaBeing called ‘a mature personality at the piano’ by Kirill Petrenko, 1993-born Hanna Bachmann has established herself as an internationally recognized recitalist. 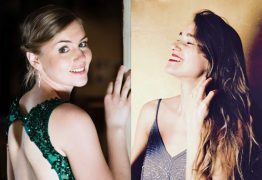 Notably, the proud recipient of the Vorarlberg’s ‛Richard-Wagner Scholarship’ has performed numerous times at the Beethoven House Bonn, at Bonn’s ‘Beethovenfest’, at the Vienna Musikverein, at the ‘Blüthner Concert Series Vienna’ and at the well-established festival ‘Kultursommer.Semmering’. Furthermore, the graduate of the university Mozarteum Salzburg gave her successful North America-debut in Mexico in 2018 that included performances with the Orquesta Sinfónica de San Luis Potosí and giving a masterclass at the music faculty of the renowned UNAM. Born in Austria in 1991, Isabel Pfefferkorn started violin lessons at the age of four, before going on to study cello, piano and singing. In 2013 she received the Wagner scholarship and she was recently the youngest finalist in the International Robert Schumann Competition in Zwickau, Germany. Isabel studied at the University of Arts in Zurich with Lina Maria Åkerlund. In 2016 she was member of the “School of Excellence” with Margreet Honig at the Basel Music Academy. She attended masterclasses by Thomas Hampson, Angelika Kirchschlager and Christa Ludwig. As a soloist and chamber musician Isabel has appeared with several orchestras like Sinfonieorchester Liechtensein or at international festivals like Grachtenfestival Amsterdam, Vaduz Classic or Schubertiade Schwarzenberg. In addition to the classical voice repertoire Isabel’s spectrum includes pop, jazz and contemporary music and she made her debut in the Konzerthaus Wien in 2017, performing Pierre Boulez’s "Le marteau sans maître".